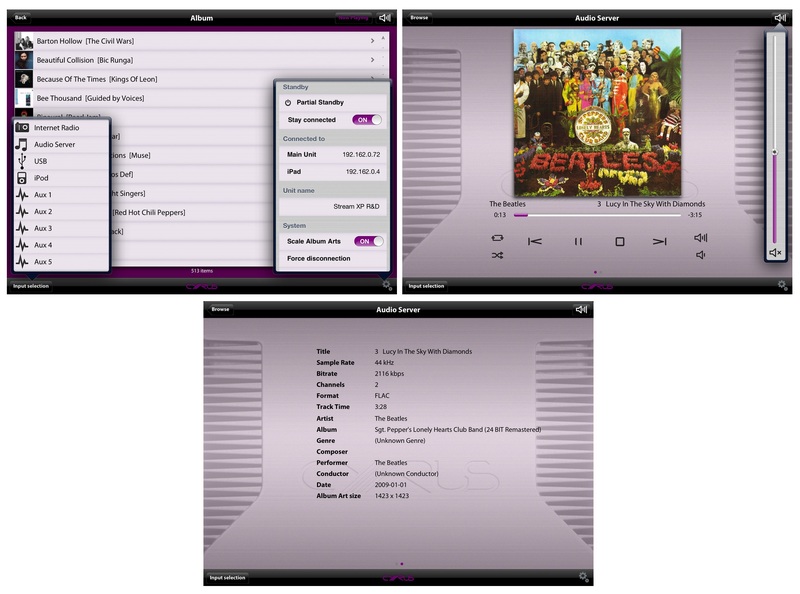 Stream Xa -- What Hi Fi? 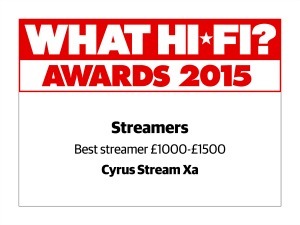 Sound and Vision Awards 2015 "Best Streamer £1,000 - £1,500"
"Engaging and transparent, the Stream Xa has a rare knack for drawing you into a song and keeping you there." When it comes to sound the traditional brand shows why it has proved good and was able to win a lot of international prizes for 30 years. The British combo convinced us by the rich deep bass, which is in no way expressed in a roar, but expressed precisely and accurately. Lets the groups of instruments merge in such a musical way and is a tasteful blend of clean structures, enriched by a personal touch. Components of character - that is precisely what the producer from the island is making since immemorial times. The Stream X₂ times precisely; leading edges are well defined and free from grain in a style that few CD players can better. I have almost stopped listening to CD since discovering this and am coming to the conclusion that streamers are better than computers at delivering digital signals. This was clearly backed up when I put the Cyrus up against a Macbook running Decibel software, the latter had a USB connection to the DAC while the Cyrus was on coax which may have a bearing but the advantage was quite distinct. The streamer has considerably more gravitas, there is a palpability to the sound that makes everything more vibrant and real. I used a superb 24/96 recording called ‘Chasing the Dragon’. This is one of the best in terms of room acoustics that I’ve encountered and with the Mac you get a good sense of the scale of the venue. When the Cyrus takes over this becomes more solid and three-dimensional largely because the bottom end is fully fleshed out. This underpins the soundstage in a dramatic fashion and brings the music into your own room in a remarkably convincing fashion. Delivers massive amounts of detail, the noise floor is very low so you can hear right down into the mix. 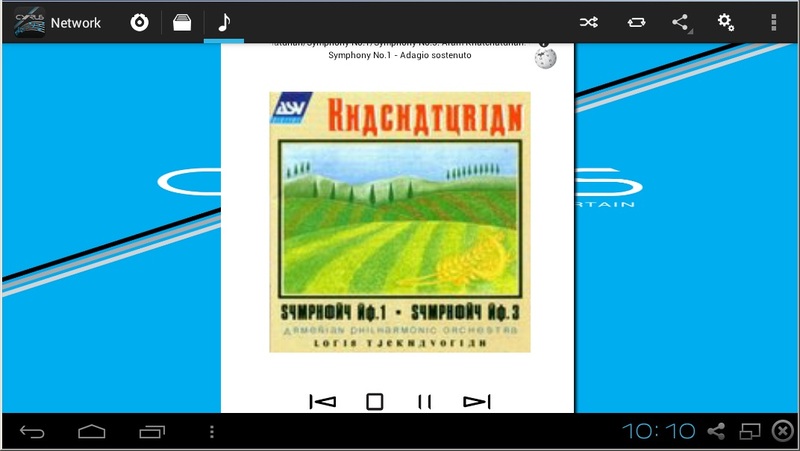 It makes for a palpable sense of realism with a great recording and makes you want to hear more hi-res material. The sound is dynamic, never short on pace and opens up your digital files to an extent that few CD transports can hope to emulate. 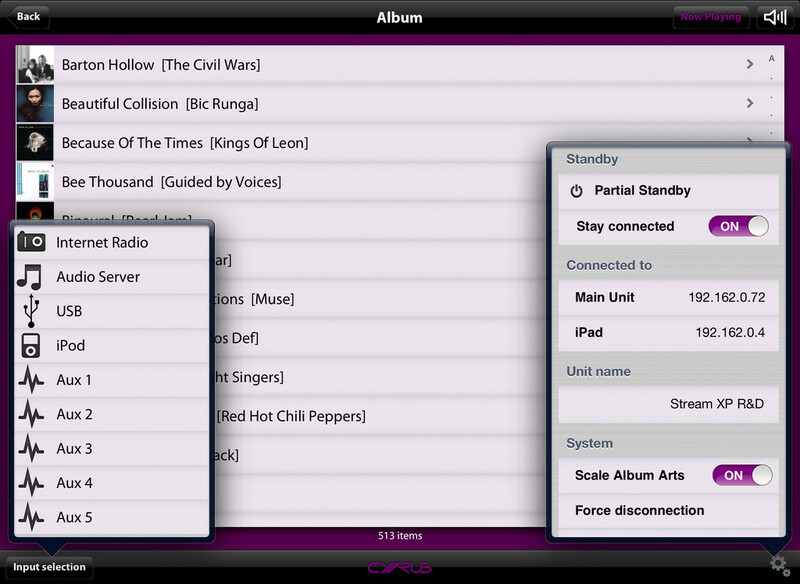 Cyrus has succeeded in making an easy to set-up and use streamer that delivers the sonic goods. Stream XP₂ Qx -- What Hi Fi? 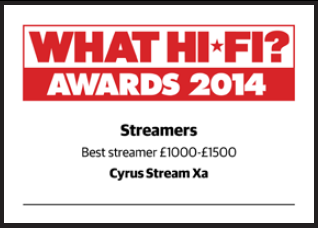 Sound and Vision Awards 2014 "Best Streamer £1,500+"
Stream Xa -- What Hi Fi? Sound and Vision Awards 2014 "Best Streamer £1,000 - £1,500"
Streamline 2 played very evenly, at first even with a slight distance. 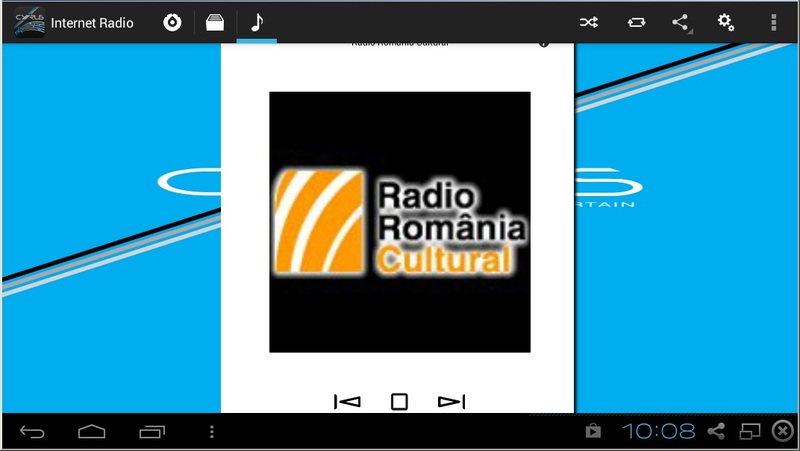 Already after five minutes of listening could say that Cyrus cares about the behavior of the ratio between bandwidth ranges and do not allow yourself a moment of forgetfulness, even with a more aggressive and dynamic music. Unprepossessing chunk of the game just fine, pursuing the idea of high fidelity. What's more, it reveals the differences between recordings, but not Pastwa over worse realized. Conclusion: Natural, versatile sound and rich equipment is a big pluses, but the biggest seems to be price. For 5900 zł we get a device that can serve as a home entertainment center. Simply connect the column and possibly other devices you want to use as the source of the sound. Streamline 2 is such a super-mini tower with audiophile twist. Best streamer £2000+, Awards 2013. Stream Massive Attack’s Teardrop and the Cyrus doesn’t lose a single ounce of the ethereal vocals. It has all the hallmarks of the Cyrus sound: detail is breathtaking, the timing is razor sharp but never clinical, and the delivery is fast and uninterrupted. 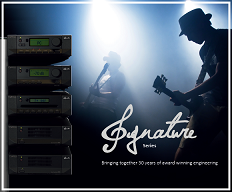 "Cyrus upgraded its equipment for the future, but remains the high quality standards of the English brand loyal. The new Stream XP₂ Qx and the X Power amplifier in any case constitute a great, musical team, which combines British culture of sound and functionality. " 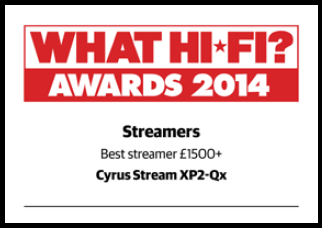 Best streaming system up to £2000, Awards 2012. An undoubted star with stellar sound quality, ease of use and advanced functionality. 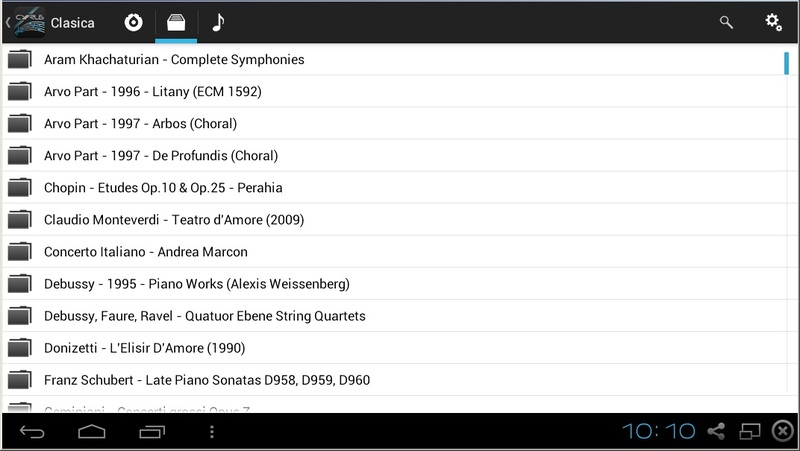 Open and dynamic, it extracts a stunning level of detail presenting music with brilliant clarity and precision. There’s no edge to treble or softness to bass, leaving you to simply focus on enjoying the music. The real upgrade here is the improved file compatibility and sure enough hi-res 24/192 files sound superb. Listen to Muse’s The 2nd Law and lead trackSupremacy has incredible scale and power. Stream a few CD-quality WAV files and the Cyrus makes an immediate impact, with a wonderfully open and inviting soundstage. "Cyrus Streamline is a network drive amplifier "all in one" providing consistent performance and good sound level as well as a great versatility"
"Associated with good speakers, it may be the heart of a high-fidelity system that's comfortable with many musical genres"
Several aspects of the sound will appeal to lovers of classical music in particular. Detail is also good, indeed one of the best in the group. It’s there in plenty, but is never forced on one’s attention and it is kept very neatly in proportion as part of an over-arching whole. Nevertheless, if you want to hear exactly what’s going on in a recording, this is one very good way of getting to it. Very best components and engineering techniques to provide music lovers with spine tingling high fidelity performance. Excellent partner for our DAC equipped Pre₂ DAC preamplifiers or 6 DAC, 8₂ DAC and 8₂ DAC Qx integrated amplifiers. For a High-end streaming system partner the Stream X Signature with a high-end DAC preamplifier and power amplifiers like our top range DAC XP Signature and Mono X 300 Signature. 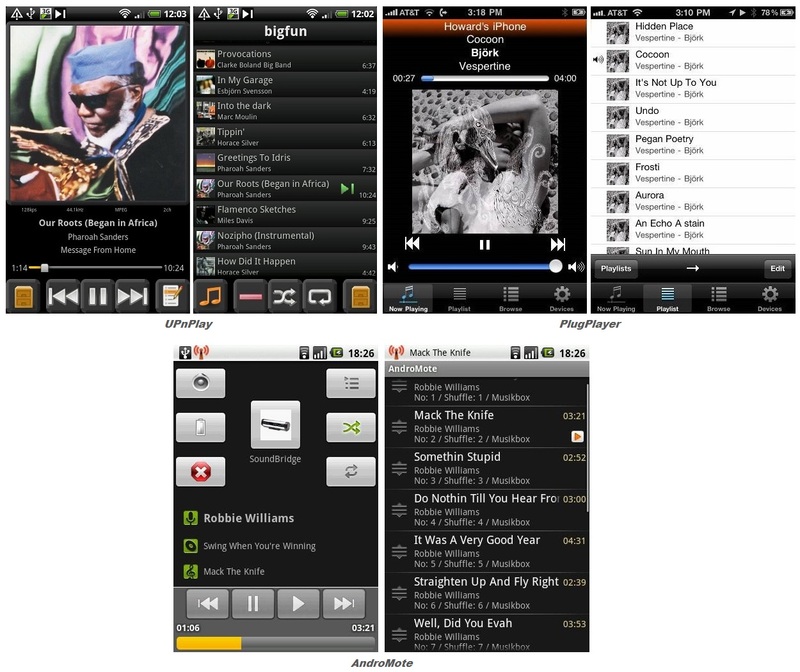 Stream from any UPnP or DLNA device, or use one of the streamer’s host of additional inputs to play music from your PC or digital player. A dedicated music streaming source, Stream X Signature uses advanced filtering and resonance reducing techniques to ensure the sound quality produced by the unit is completely unaffected by unwanted signals and noise. 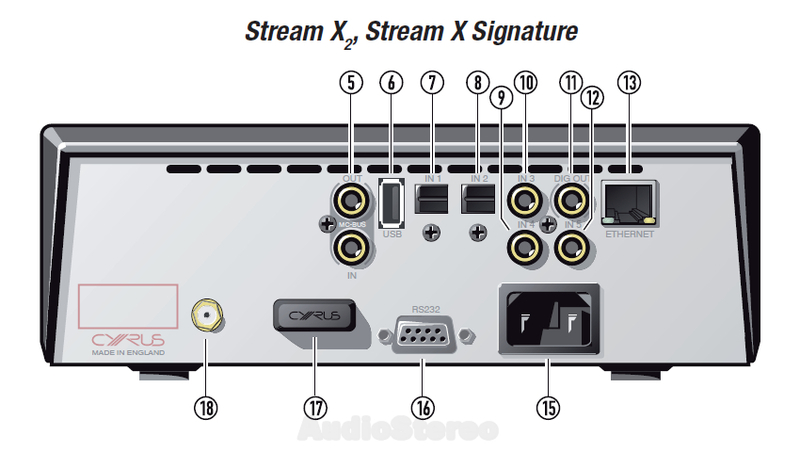 For the ultimate hi-fi system, use the Stream X Signature with a DAC XP Signature and a pair of Mono X 300 Signatures. 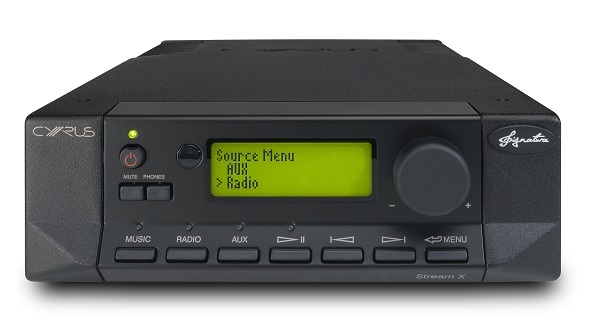 Include a CD Xt Signature to add CD compatibility to your system, and connect the whole system together using our Digital Interconnects to ensure you enjoy the full effect of our famous tuning. 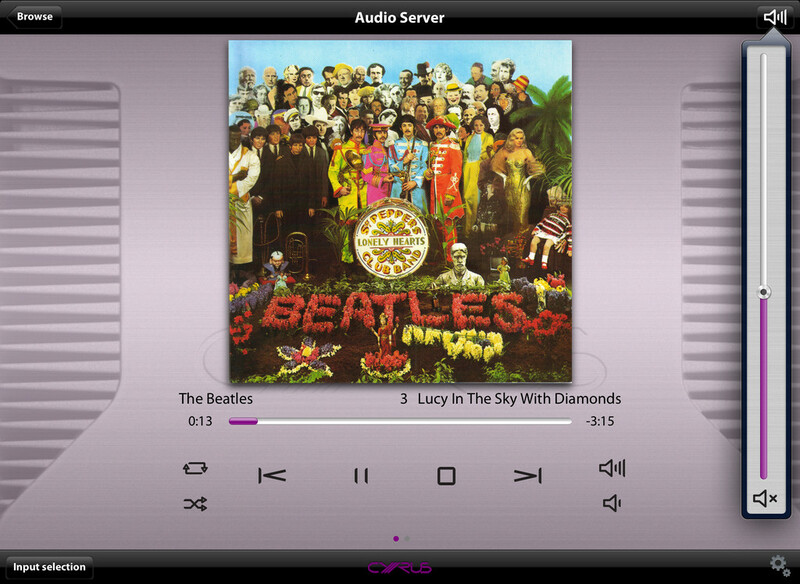 You'll get excellent sound quality from your music collection using MinimServer as your DLNA media server. 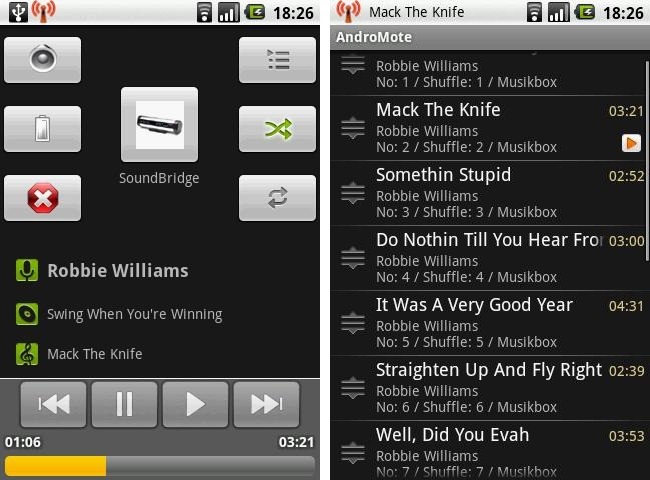 Cadence for Android is available for download on the Google Play, free of charge. Simply search for ‘Cyrus Cadence’. 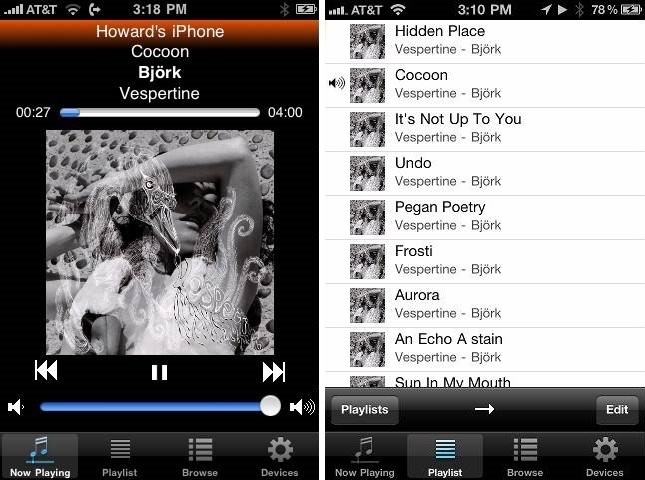 Cadence is available for download on the App Store, free of charge. Simply search for ‘Cyrus Cadence’. 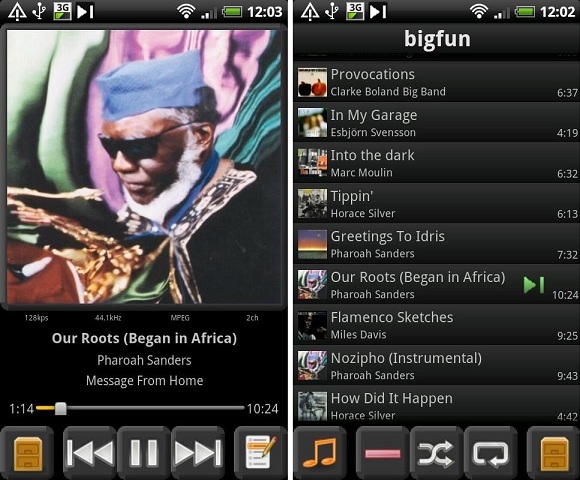 Browse, organize, and play the music. Just grab the laptop or PC at hand, open a web browser, and you can get in the groove anytime you want. Q. How can I connect if I do not have a Wireless or LAN installation? A. If wireless reception is limited or non existent and you do not have a LAN network installed then you can try using one of the many Homeplug products on the market. This allows the transmission of network data across your ring main. We have had particular success with the Netgear Powerline range of products. Try to aim for 200mb and above for best range and speed. Alternatively you can still stream from a USB drive, but for best use we always recommend streaming from a NAS drive. Q. 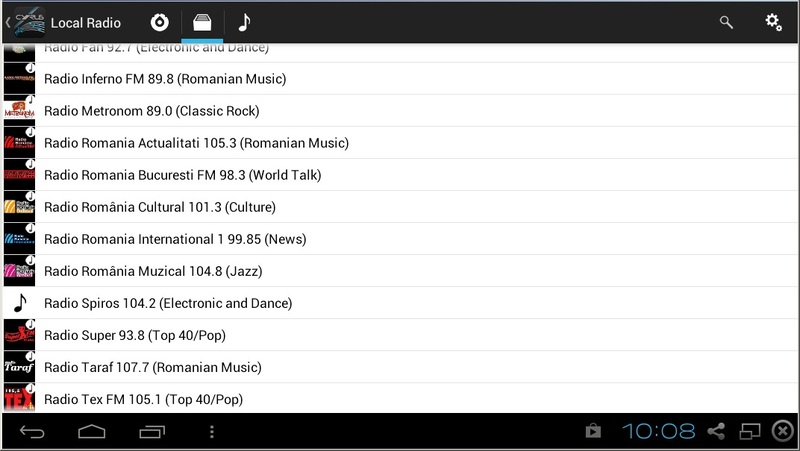 Is a computer the best place to store my digital music files? Q. Why do you recommend using a switch when I have spare ports on my router? A. 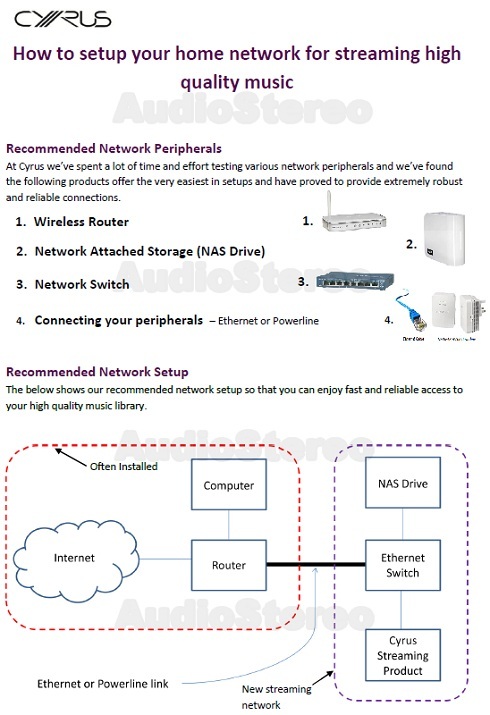 The network switch solely deals with the routing of data and therefore transfers data more quickly and reliably between your networked audio devices. It will provide the fastest and most consistent level of data transmission between the Cyrus Streaming product and your NAS drive. Q. Why do you recommend using a wired network rather than wireless? A. For ultimate performance we recommend a wired network due to its increased speed and stability. This method is also independent from external wi-fi interference. Internet radio service is built into every Cyrus streaming model and provides access to over 30,000 stations from around the globe! 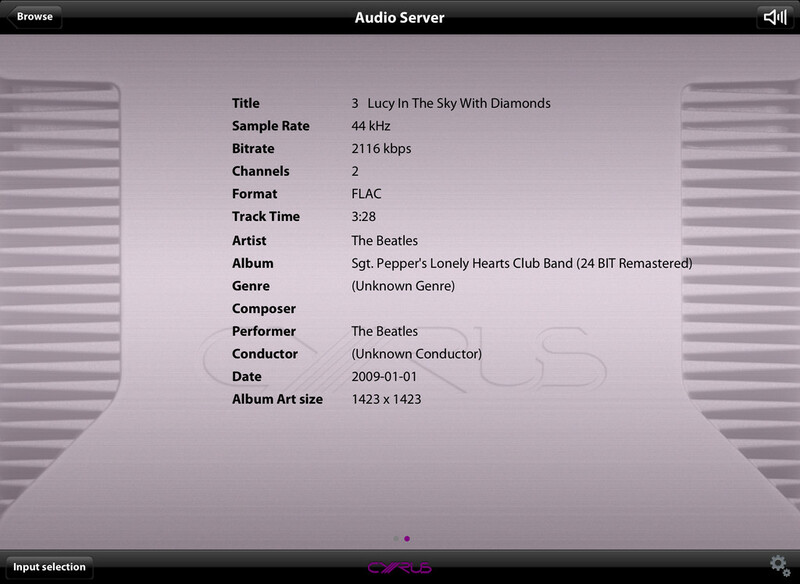 Stream CD-quality music directly from the Tidal servers to all Cyrus streamers and Lyric music systems. Ensure your Streamer/ Lyric is updated to the latest firmware. 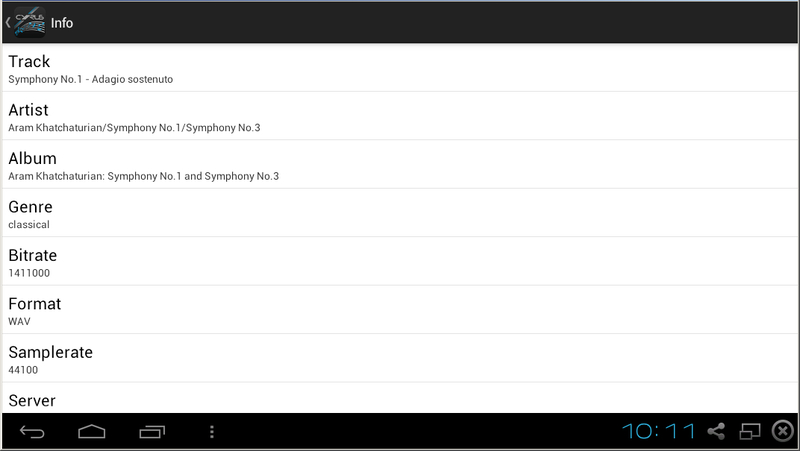 Using the latest version of the Cadence app, select TIDAL from the sources menu. 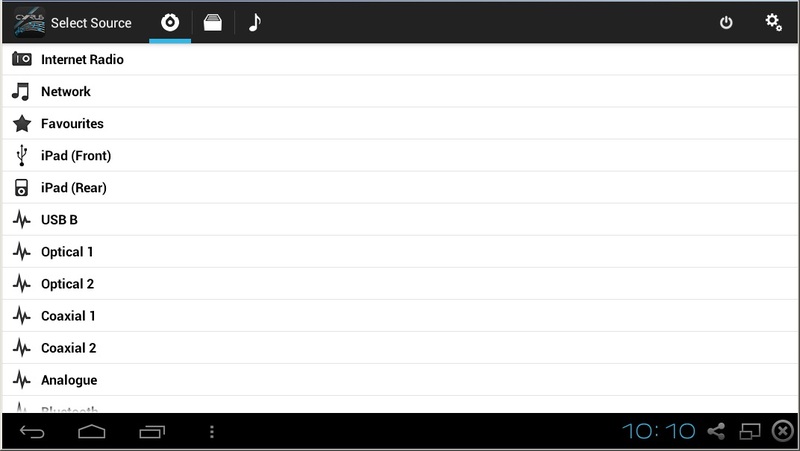 Login using your TIDAL username and password.